A classic legging made in Double Knit onte. 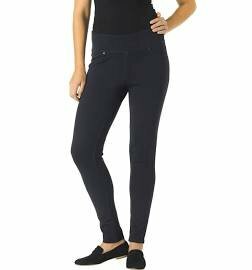 With Jag's signature pull-on waist band and a skinny fit, perfect with any top, tunics and under dresses. Because of the stretch, some ladies can size down.